Housing rents in Christchurch have risen faster than anywhere else in the country over the last five years, even leaving Auckland rents in their wake. A comparison of average rents charged for new tenancies throughout the country in the first six months of this year versus the first six months of 2009, carried out by interest.co.nz shows that average rents in some parts of Christchurch have increased by more than 60% over that period. Although rents throughout the Auckland region also rose significantly over the same period, the rate of increase was much less than in Christchurch. Throughout the rest of the country, rental growth tended to be much more subdued. The comparisons were made using the average (mean) rent figures compiled by the Ministry of Business Innovation and Employment from tenancy bonds it received in the first six months of 2009 and 2014. The average rent figures for both two bedroom flats and three bedroom houses in both six month periods were compared for all parts of the country where there was significant letting activity, and the full list of average percentage changes between the two periods is displayed below. It shows that in most parts of Auckland, the increase in the average rent for both two bedroom flats and three bedroom houses was between 20% and 35%. The biggest increases were for two bedroom flats in Newmarket which were up 45.9% and Devonport up 44.9%, while the biggest rise in average rent for a three bedroom house was in Three Kings, where it increased by 38.2%, followed by St Johns, up 36.8%. However rent increases above 30% were the exception rather than the norm in Auckland. Rent increases were less spectacular in Wellington City, with average rents in the capital rising by double digits, with the biggest increase coming form 2 bedroom flats in Brooklyn, where the average rose by 28.2%. However in most parts of the city the average rent increased by less than 20% and in Lower Hutt rent increases were mostly under 10%. In Christchurch, rents were through the roof, with average increases mostly above 30% for both two bedroom flats and three bedroom houses over the five years, and increases above 40% being fairly common. The biggest increase of 63.8% was for three bedroom houses in Fendalton/Strowan/Bryndwr, followed by two bedroom flats in Bishopdale/Papanui which were up by 62%. Average rents for three bedroom houses in Sydenham/Waltham and Spreydon/Somerfield were also above 60%. The strong rise in rents will be a boon to established landlords that have owned their properties for many years because it should have improved their cash flows considerably, although it will have had the opposite effect on their tenants. 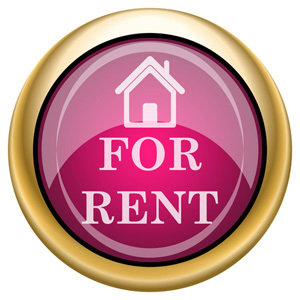 However whether rising rents have made buying new rental properties an attractive proposition depends on their location. In the Auckland region, the REINZ's median selling price (for all types of residential properties) increased by 38% between June 2009 and June 2014. That's well above the rises in rents in most places in the region, suggesting that property prices have risen faster than rents in Auckland. That means established landlords in Auckland should have done well from capital gains, and although their rental incomes are also likely to have increased significantly over that period, falling yields mean it has probably become more difficult locate new rental properties that would provide an attractive rental return. In Wellington, the REINZ median price increased by just 2.7% between June 2009 and June 2014, so rental yields in the capital are likely to have increased reasonably well over that time, potentially making residential property investment a more attractive option in the capital compared with five years ago. However landlords in Christchurch appear to have been in a win-win situation, potentially reaping capital gains on a par with Auckland's, but likely growing their cash flows by even more. And because rents in Christchurch have risen by more than capital values, purchasing a rental property in the city is likely to produce an even better return now than it did prior to the earthquakes. Rising rents are win win for landlords and a lose lose for tenants. The results for Christchurch show how wealth has changed in Canterbury after the earthquakes with the wealthiest gaining the most and the poorest losing even more of their meager incomes. A point I made some time ago in my Brendon Harre Top 10. A large driver of Christchurch rents was of course insurance money: so not an unequivocal 'bad for tenants' story at all. Insurance would pay out the equivalent of a motel accommodation rate, for a house, for a period measured in months. Rents north of $1500 pw for an average 3 or 4 bedder were, anecdotally, rife. But that was then: the flurry of forced moves has somewhat abated, and insurers have probably tightened the screws themselves. Of course, the expectations of what ya can get for $x/week on the part of tenants, and what ya can charge on the part of landlords, are much slower to emerge from this massive skewing of the market. Not helped, of course by an odd (but given Councils' typical economic myopia, understandable) insistence on resurrecting the Old CBD and, basically, ignoring everything else. To the extent that DC's were Waived (yes, Virginia, you heard aright: a Council elected to forego Revenue) for the Old CBD. Where little is happening except for Gubmint tenancy - OPM to the rescue again. But heaven forfend that the Council would forego DC's anywhere but the Old CBD. No, all those suburban types can jolly well stump up DC's on their nice new subdivision plots...Mike Greer estimates that Council imposts add $75K to the price of a house/plot sale....."Even if the council released still more land to bring section prices down, its development levies - the cost of consents, new roads, sewerage and other services - are still going to be about $75,000 of the cost of a section, he says." Waymad I don't think those high short term rental agreements are part of these statistics. There would have been an indirect effect as some of the long term rental supply would have gone to supply short term rentals to house those who needed to vacate their homes while repairs were being done. Anecdotally I have heard some of that supply is returning to the long term market. This might take some of the heat out of the rental market but unless something dramatic is done with new housing supply I can't see rents or house prices returning to pre-quake levels or to genuinely affordable levels. Some of the heat was also due to emergency and reconstruction workers having to compete for local accomodation, effectively lifting the population much higher. It was of the reaons some engineer and building friends got back out of the "chch money pot". It was soaking up too much of their earnings and it was stressful work with hideous levels of interfering bureaucracy so they said stuff it. What a bizarre statement. Rents went up BECAUSE of the earthquake - so of course returns are better post-quake. The figures simply suggest to me another mishandling of the market disequilibrium caused by the quake - there needed to be rent cost controls applied immediately to counter the scarcity effect caused by the natural disaster - removing them when the market norm/equilibrium between supply and demand returned. And to date, given the snails pace of the rebuild, it still hasn't returned I suspect. Christchurch can be likened to a type of black market behaviour where residential rental accommodation is concerned. Kate re the rental controls issue. I probably agree with you but down in Canterbury we are pragmatically not crying over spilt milk. It is too late to impose rental controls. Mistakes were made..... The question is how to move forward and create a fairer more effective housing market. Agree with you - the only time to do it was immediately - as what was going to happen was immediately evident in the few weeks post disaster. Yes, how to move forward? More something the locals know - if only someone in power would start listening to them. Given my medical people can charge what they want because of demand, I see no reason that landlords should not be expected to charge market rate for rent (if people are willing to pay it, and they obviously are). He's a "rent control" system - one that won't even disturb market forces.......if the landlord asks too much rent...go somewhere else. If everywhere else is also really high, too high, then that's whats known as market price. There was no deliberate cartel action involved. A landlord is not your Mum. they don't owe you cheap room and board. Er, medical people can't charge what they want- there is the whole Primary Health Organisations framework. Now they can opt out and go there own way, which might be like a landlord opting out of renting to anyone getting the accomdation suppliment. Check how much their staff get paid, for admin and other trival jobs vs other industries. Check how much government and insurance kickback they get to "top up". All for services which should cost a fraction of what they do. Check many of the prices charged for support services and materials used. I got some plastic sleeves from a medical supplier : $80. found some later at warehouse stationery: $12. Same product. If I wander around town, can I find some medical practicioner competing on price? no. You might get a better quote on the labour, however the "plastic sleeves" will all be $80 no matter where you go I suspect. Actually private doctors pretty much can charge heavily and do If you dont want to wait many months or if your GP wont put you on a waiting list your option is wait, do without or pay crazy amounts. Some years ago I found out the hard way that $250 per half hour consultation wasnt unusual. If you want even a tinyl skin cancer removed, bye bye $600 or wait multiple months while it gets bigger great choice. The only thing that PHOs have successfully achieved is 1. Increasing GPs incomes, and 2. reducing GP workload. OK...thinking about it then..how about a compromise - similar to medical stuff (since having a roof over your head is important too) - we'll limit rent to no more than 30% of the house value per week. Because there was a little thing called an earthquake..... It wasn't normal market conditions. Local farmers recognised this fact -a farmer army of tractors descended on Christchurch to help but obviously on a national basis farmers like you have less compassionate sensibilities. Brendon, you worry too much... landlords like their tenants and wouldn't do anything to hurt them. I think Your Landlordshipness and Pouggey are probably right. Kiwis individually are usually very likeable people. It is somehow the system as a whole that is not working, the stats on rental increases in Christchurch are awful..... All the landlords I had were nice people except for one and he was just wierd rather than greedy. The wealth of property (or any other type) can easily allow peculiar behaviour to occur. the wealth (and your need) creates a kind of anti-evolutionary effect, so what would be normally a derelict non-functional social failure can become through that wealth, an influencal decision maker/power. In your case a weird landlord.... but that's why I speak about wealth and income inequalities so much. such privilege also extends to those in government or protected jobs, or those who have had a lucky run in business, or getting a degree and enjoying higher capital availability in foreign lands. Such environments led to a false expectation of largess, and their wealth cushions them from how foolhardy their actions are. So yes, there are many greedy and nasty landlords. My thought is rather than attack them, or attack all landlords, look to what gives them their power. that there are few other choices but to rent from them. In that I'm referring to your need for housing, and the limits placed on yourself and others to provide that need. If more houses were available then people would choose more suitable accomodations - or at least, if choosing the weirder path, have their own reasons for it. to whit: remember gordon and others having the generational argument last week? Yes, it was hard to get into housing back then - and shortcuts were being made because many families were one income (and mum looked after kids that was the way it was), materials and fancy labour wasn't available, you couldn't just pre-fab something, and something like a concrete mixer truck was a big deal. But you -could- take cheap shortcuts, you had too. Now days we aren't allowed to take the shortcuts. The prices are way up, but working couples is common, as are a variety of childminding services. no long can a tradey or DIY knock together a building, now there is a massive consent process, a massive range of fastenings and extras - no longer can you use #8 wire to fix your floor to the piles and so forth. And like the rent, all those extra cost must be recovered. The old shortcuts are not permitted. THAT's why you have inequality ... that's why your landlords have a stranglehold on housing, and with limited supply, and rising demand...prices must rise. who do you think pays for the insurance...? the tenants....how much insurance did you think a landlord should have...who was complaining about the prices again???? and Brendon a landlord _CAN'T_ just "insurance against earthquakes" in NZ. Due to the Nanny-state, such insurance falls under the Fire and Earthquake Commision. Those FEC'ers set how much and what rate you get and it comes through on House Insurance as an indenture - so you have to pay for a bunch of extras (which your tenants probably won't appreciate paying for) if you want the insurance... and then if you need it it is based on "experts" evaluations which didn't include a lot of extras, the earthquake cover was very limited and didn't cover much of what was later required, that is if you could get payment from them or your primary insurer! I repeat a landlord can insure themselves against losses caused by earthquakes. Tenants cannot insure themselves against rent increases (even if the cause is earthquakes). except when I tried...I couldn't...the insurance company said "no we're not allowed to". Sorry it was EQC,not " Fire and Earthquake Commission"
and yeah... last time a disaster hit it was left to the market. The only "assistance" provided was so that councils and urbanites wouldn't be affected. mmmm smokin' peace pipe here on the hill, overlooking the view of the sparkling Waitemata Harbor ...... thinking about this issue ....rents rise when there is a 'shortage' of rental accommodation ...... rents only increase slighty with inflation when demand is balanced ...mmmm AKL v CHC ....perhaps ?? ?